Root canals are common procedures meant to treat a severe oral health problem: irreversible pulpitis. This is a condition described as tooth pulp infection or necrosis claiming a specific treatment performed by a specialist in endodontics. 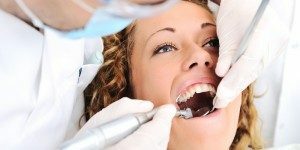 There are some questions patients need answers to when it comes to our root canals in Fort Lauderdale Florida and our experts are here today to shine some light on the problem and the procedure. 1. How Do I know I Need Root Canal Treatment? If you went to your doctor accusing severe tooth ache, prolonged and sometimes random pain (that lasts for a few hours to a few days) in the jawbone, and cold symptoms (fever, headaches etc), then the chance is you suffer from irreversible pulpitis. This means that the soft tissue inside your tooth root canal got infected or necrotic. Our endodontics expert will perform a thorough diagnosis and may also need an X-ray to better understand the situation. If the tissue is infected, the best course of treatment is a root canal intervention to remove the necrosis and lower the risk of the infection to spread to your blood stream. What you need to know is that we offer all dental services under one roof, so once you are assigned to one of our specialists you will receive A-to-Z treatment that saves you time, money, and effort. 2. How Long Does the Root Canal Treatment Last? Depending on the situation, our root canals Fort Lauderdale FL treatments last two sessions tops, with a week in between them. We use the latest and most modern equipment, techniques and materials, while our doctors have nearly 60 years of combined medical practice. We work very efficiently to reduce time off of work/life, so you can rest assured you will get your teeth health and smile back in no time. We also offer all dental services under one roof, so you don’t have to worry about finding other doctors to finish the job. The first of the two sessions is dedicated to removing the infected pulp, cleaning and reshaping of the root canal. The second involves the sealing of the tooth or the placing of a crown. 3. Are Root Canal Treatments in Fort Lauderdale Florida Stressful? You don’t have to worry about any discomfort while you receive treatment. We use safe and modern anesthetics so you don’t feel a thing. Moreover, in case you are stressed about the procedure itself, you should know that in our office you will be welcomed by a friendly, warm, and positive atmosphere, comforts and amenities, and a proactive attitude.